SOLIDAR has received a 4-year grant under the Neighbourhood Civil Society Facility Instrument of the European Union, to implement a regional programme on “Decent Work, Social Protection and Freedom of Association in the Middle East and North Africa: Mobilizing for Social Justice by strengthening and promoting CSOs, social movements and independent trade unions’ role in reforms and democratic changes’. This program seeks to give voice to all those proponents of change from the European Southern Neighbourhood Countries that are in danger of being ignored, and brings together key stakeholders, including CSOs ensuring access to essential socials services for the vulnerable people at grassroots’ level and independent workers’ representatives (trade unions) that operate free from government interference. Develop the capacity and stimulate the participation of civil society in local, national and EU decision making processes, related to European Neighbourhood Policy, and in particular monitor progress made towards the objectives of the Action Plans and the Association Agendas between the EU and countries in the region. Support and strengthen existing networks and coalitions of key stakeholders at national and regional level. Reinforce key stakeholders’ capacity to be involved in policy-making processes, and setup active regional advocacy initiatives. The activities of the program are carried out by 20 organisations from civil society representatives among SOLIDAR members and partners in the region. This project page gathers all the latest news, briefings, case studies, country reports, activity reports and training material produced within the framework of the European-funded project ‘Decent Work, Social Protection and Freedom of Association in the Middle East and North Africa: Mobilizing for Social Justice by strengthening and promoting CSOs, social movements and independent trade unions’ role in reforms and democratic changes’. Find here all our latest news articles on the Middle East and North Africa. The Social Protection and Social Rights Monitor is a tool developed by SOLIDAR members and partners to allow partner organizations and allies based in the country to assess the situations in terms of social protection, decent work and an enabling environment and track the progress made since the implementation of the European Neighbourhood Policy and the partnership priorities established with the EU. Most of the reports have been developed in the framework of a regional programme “Mobilizing for Social Justice: Decent Work, Social Protection and Freedom of Association in the Middle East and North Africa region” led by SOLIDAR. In 2019, SOLIDAR undertook a compilation of all the reports made in the MENA region since 2013 to create country profiles (available below), putting into evidence the evolution of Social Protection, Decent Work and Freedom of Association over the years. SOLIDAR also created a scoreboard to compare both the current state of play of these rights and their evolution in each country surveyed. Social Protection Advocacy toolkit: Social protection monitoring | European Neighbourhood Policy - Presentation | Social protection advocacy toolkit - Presentation | Webinar on project (FR). ENP up close | No. 1 | Are CSOs represented in Hahn’s new Neighbourhood? ENP Up Close | No. 7 | How can the EU be a credible peace promoter in the MENA region? ENP up close | No. 10 | It’s about time for a new EU-Arab partnership! ENP up close | No. 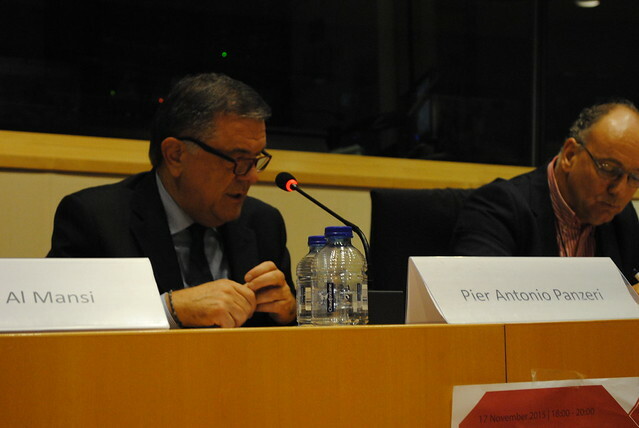 11 | The new EU-Arab partnership should focus on Economic, Social and Cultural Rights! ENP up close | No. 12 | The EU-Arab partnership should promote a rights based approach to migration and development! More photos of our activities can be found here. This platform aims to bring together representatives of civil society organisations, independent trade unions to share resources and materials to identify best and innovative practices around Freedom of Association and Decent Work and Social Protection though online regional exchanges. Login below to access our online platform (for members and partners only). You can also share your social media posts with all the members and partners involved by accessing SOLIDAR Middle East and North Africa project facebook group.